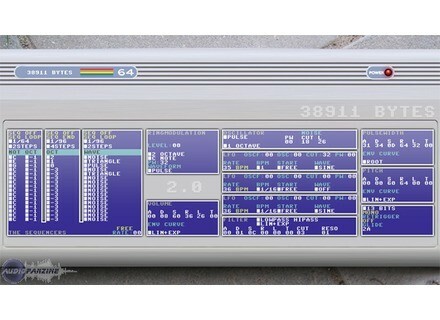 38911 Bytes [Freeware], Virtual subtractive synth from Odo Synths. 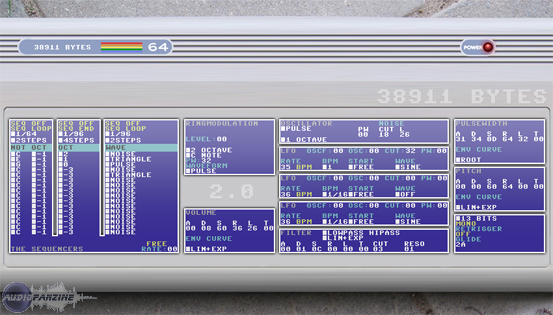 Odo Synths has released version 2.0 of 38911 Bytes, the free synthesizer based on Commodore 64 software. * It now has a 16-steps in the step-sequencers (instead of 8). * Improved filters (They are now closer to the Commodore 64). Opulent Audio Tenacity Opulent Audio has announced the release of Tenacity, a "2 Osc Monster synth" VSTi for Windows. Toontrack Funkmasters EZX samples Toontrack to release Funkmasters EZX, a unique and exclusive recording of two famous drummers, Clyde Stubblefield and John "Jab’o" Starks. Sonic Charge Synplant Sonic Charge announces Synplant synth plugin.